-November to March, 1916/17 --- Winter conditions made the food shortages in Russia even worse than after the loss of wars. -March 2nd, 1917 --- Vladimir Lenin won over the peasants and convinced that they needed to make a change by taking force to the government. -March 6th, 1917 --- Nicholas the Tsar, being the bad leader he was, left the Tsarina in charge after being threatened by the people gathering to confront him about the shortages and lack of success. -March 8th, 1917 --- Rioting in Petrograd began due to lack of success in wars and food shortages that the people could not handle anymore. 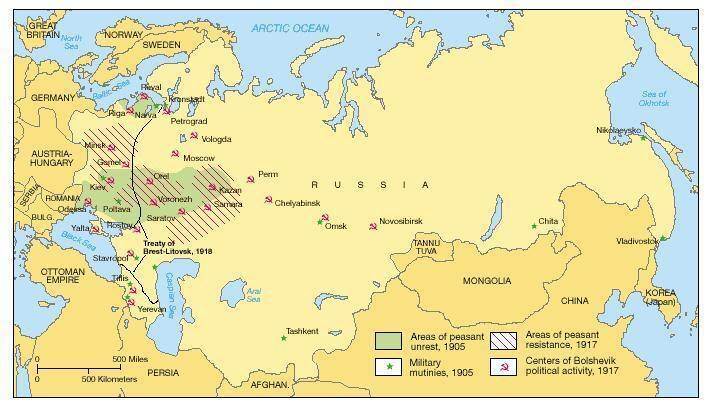 -March 12th, 1917 --- The army joined the revolution and abandoned the Tsar completely, taking away all the power of Russia's government. Primary Sources: "The abdication of Nicholas II", signed in Pskov on March 15th, 1917. This declaration from the Tsar is one of the most significant sources because it was the signal for the Russian people that they won. "A Duma report on Russian cities in February, 1917", by the committee of the Duma in early February, 1917. This report from the Duma was made public and it showed the people that there needed to be a change. ​On March 8th of 1917, there were riots in Petrograd about the lack of success in wars and the food shortages.